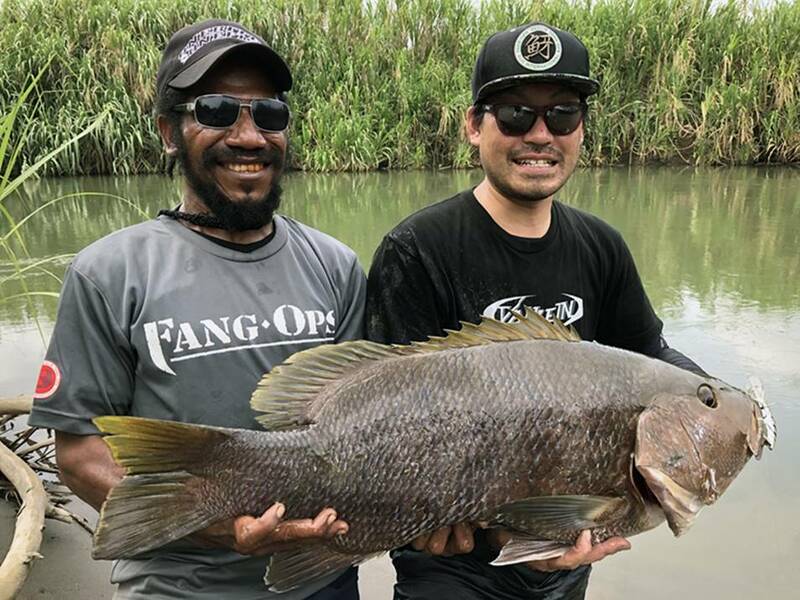 For the third year, we went with the Fang Ops team on our annual trip to Papua New Guinea. This time I picked a spot which I used to use frequently, though it’s been four times since I have been fishing there for the last time. It did not rain even once, a rarity in this season, so we managed to do some good fishing and good some good beats to top it off! Driving 140DR in the flow and send it to the structure with drift, at the timing when you put a jerk there you get strong bites! Even in Papuan Bass fishing, with a structure involving flow. Interaction is the most difficult, thrilling, it is my favorite game. CEO Mr. Adachi caught one on FangBait 120DR with over 30lb. Besides accurate trace course and casting, “luck” becomes an important factor with papuan bass. 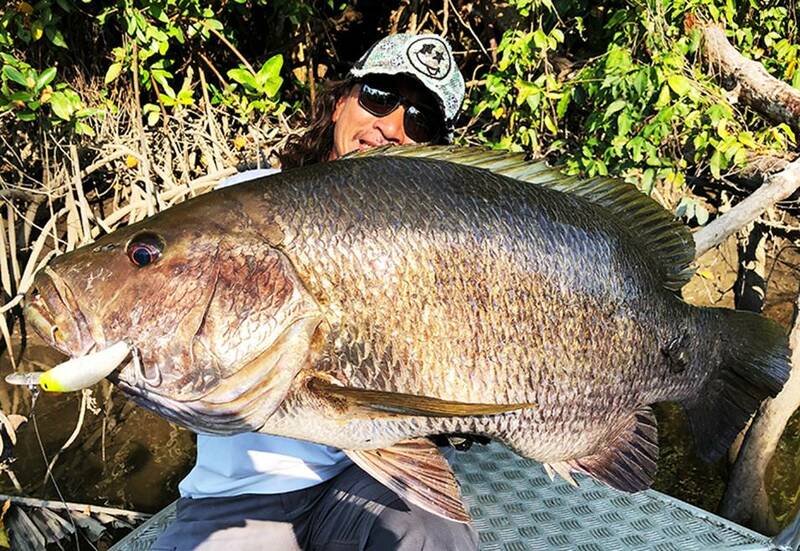 He caught over 30lb beast first time in third PNG challenge. A good fish! FangOps tester Sugata’s catch of over 40lb grouper. He kept tracing the bottom until got this great bite. 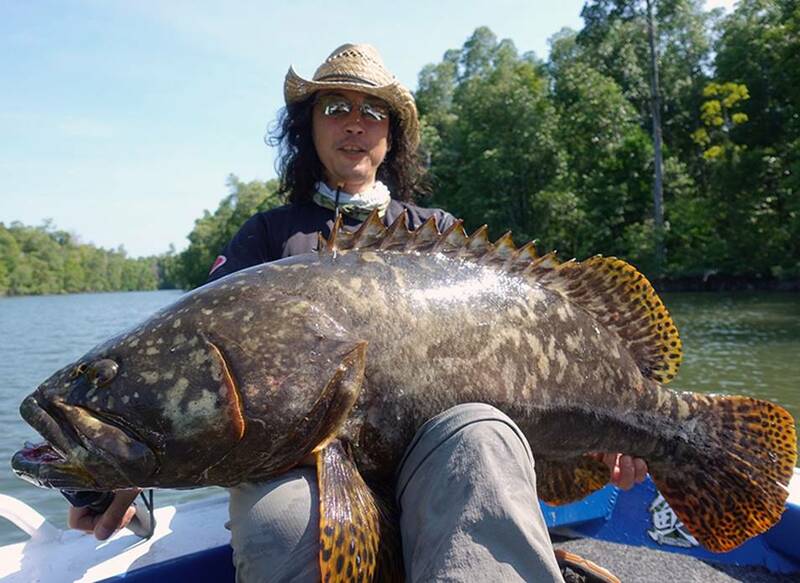 With this size of grouper, it’s one which went from the estuary to the middle reaches. 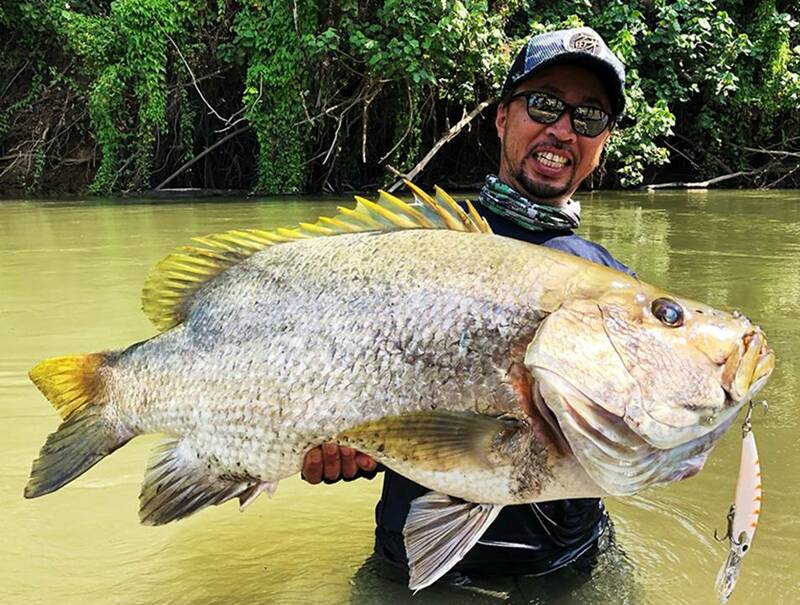 For Mr. Kikuchi from Valkein, this has been the first PNG challenge and he managed to land this great fish in an open area with no structure. As for lure, it’s the PNG’s trademark FangBait 120DR in the “Archer Fish” color. An absolute must!